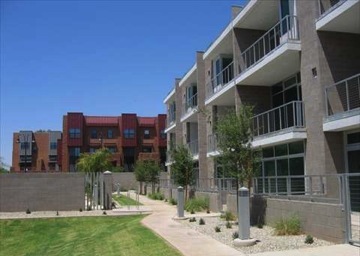 Farmer Avenue Lofts is a Tempe loft condominium located at 352 S Farmer Avenue, Tempe, Arizona 85281, built in 2008. Amenities Include: 9- and 10-foot Ceilings, Two Heating and Air Conditioning Units, Modern Lighting, In-Suite Full-Size Washer and Dryer, Contemporary Kitchens, Stainless Steel Appliances, Double-Bowl Under Mounted Sinks and Maple Cabinets. 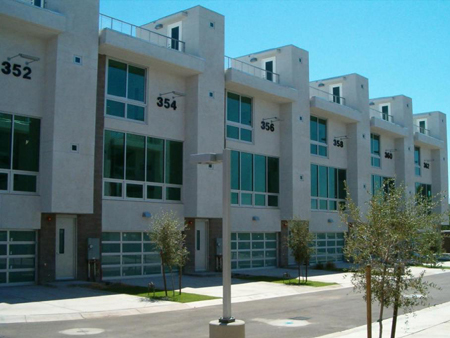 Farmer Avenue Lofts is located in Downtown Tempe, near Mill Avenue, Tempe Town Lake, shopping, restaurants, employment, entertainment, and ASU campus.